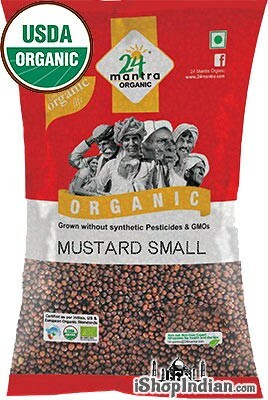 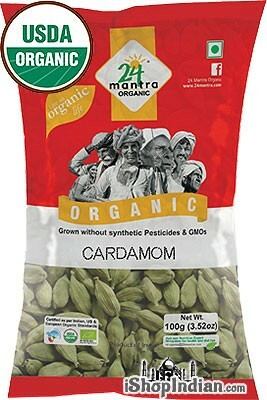 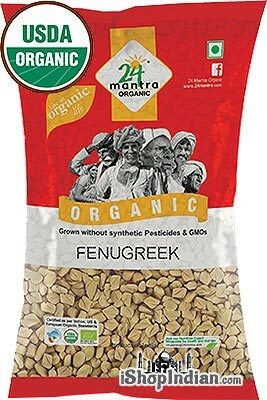 Price: $1.43 / 2.11 oz bag Notification will be sent to your e-mail address every time the item price is decreased. 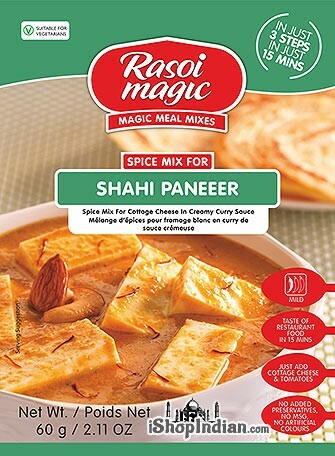 Spice mix for cottage cheese in creamy curry sauce. 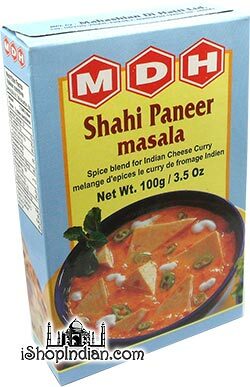 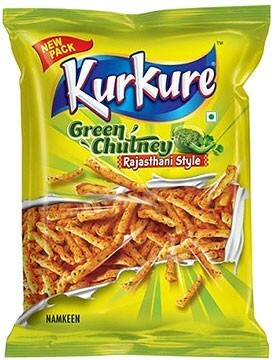 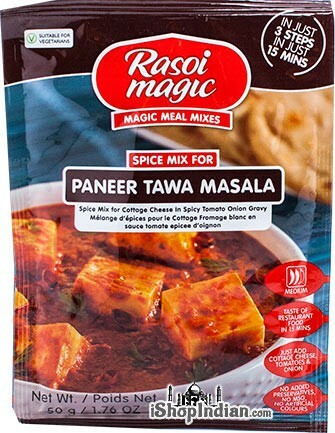 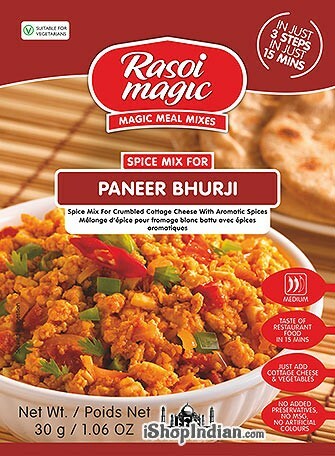 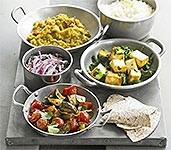 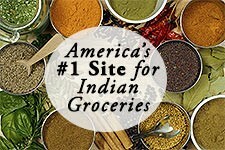 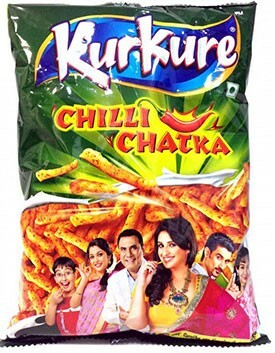 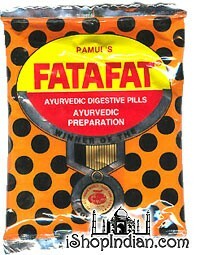 The entire pack is a mixed blend of Indian paneer and tomatoes. 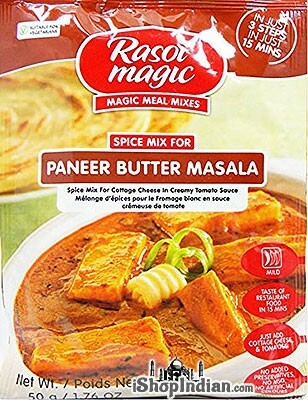 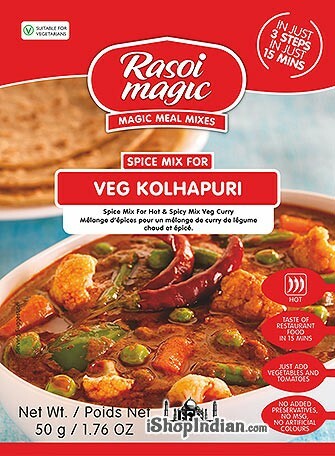 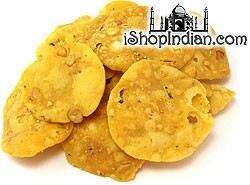 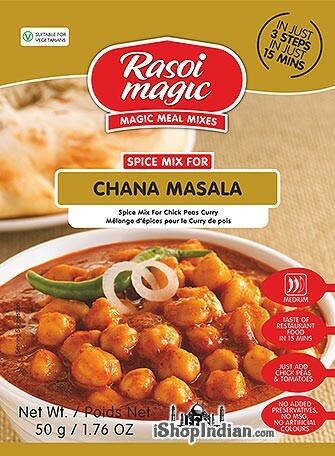 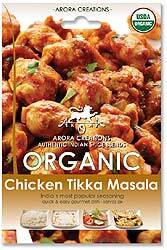 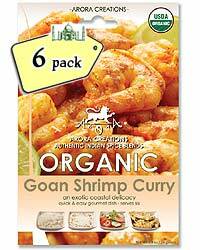 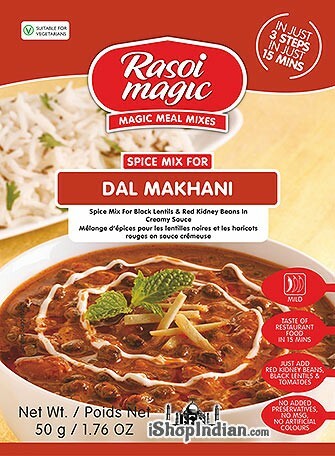 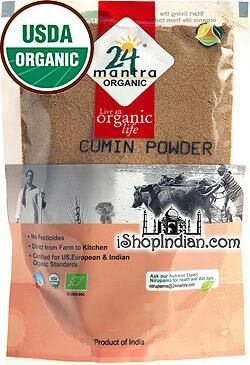 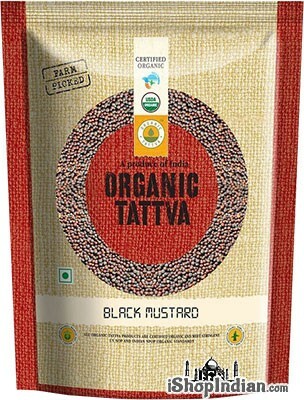 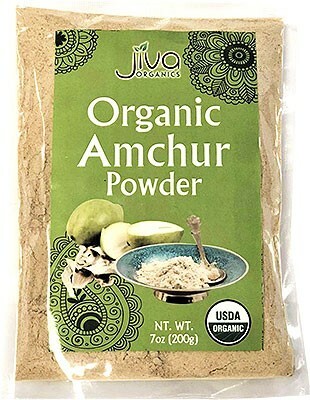 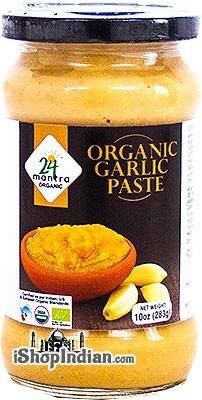 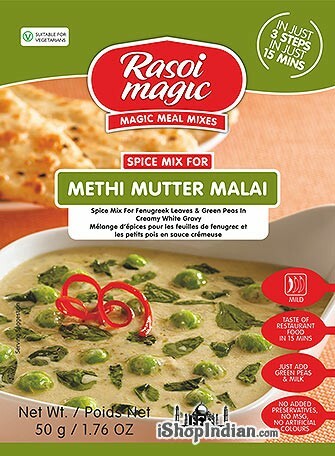 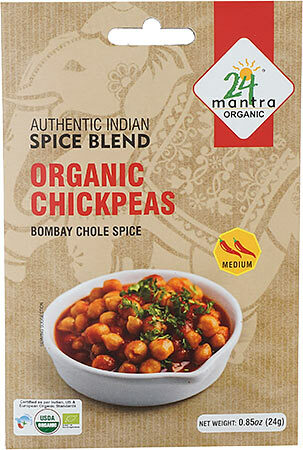 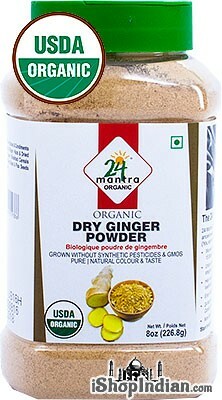 Ingredients: onion, cashew nut, milk, salt, coriander, garlic, whey, sugar, refined vegetable oil, ginger, turmeric, other spices.